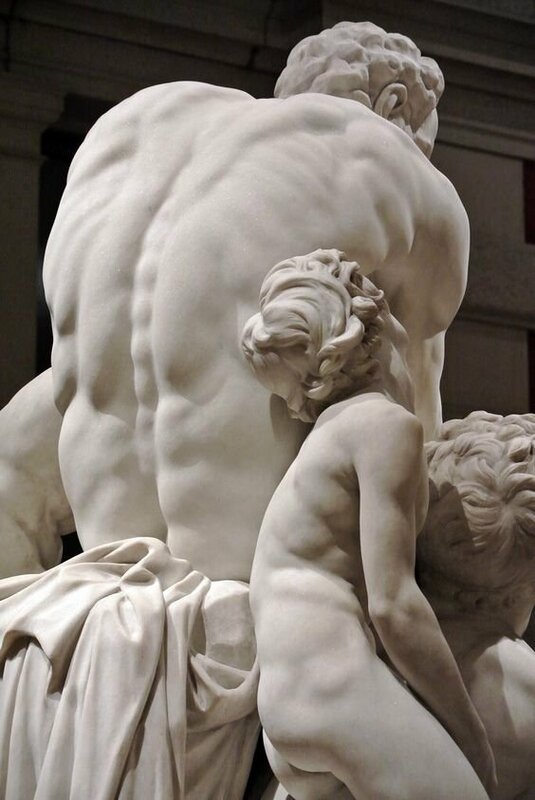 Ugolino and His Sons is a marble sculpture of Ugolino made by Jean-Baptiste Carpeaux in Paris during the 1860s. It depicts the story of Ugolino from Dante's Inferno in which the 13th century count is imprisoned and starving with his children. The work, known for its expressive detail, launched Carpeaux's career. I like how expressive the sculpture is. 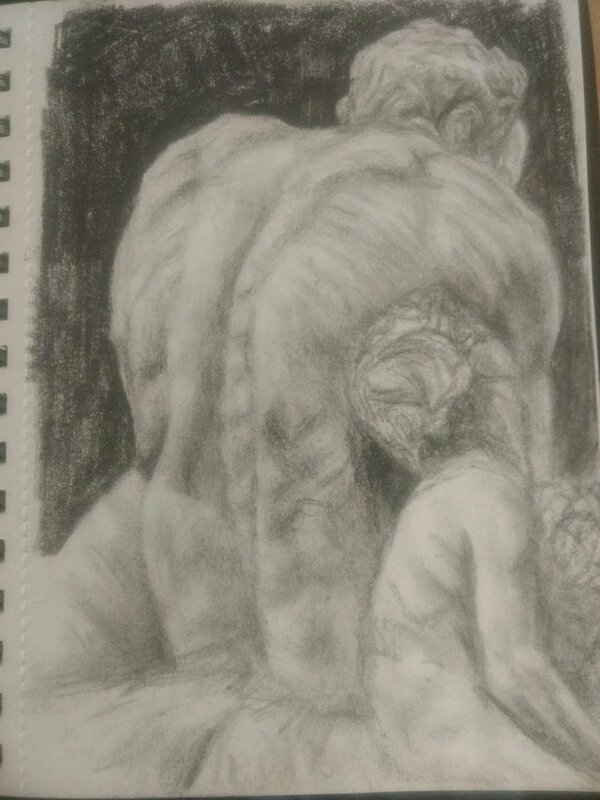 His strong muscular back creates quite an intruiging and powerful piece. I drew this on A5 paper and used charcoal to get the darkest tones and blended smoothly with a brush. I did finishing details with a pencil. This drawing took me over an hour to do. You are following the backscratcher curation trail but have not received votes because your voting power is well below 85%. If you can keep voting power above 85% you will receive votes everyday.